This week I got the phone call that every working parent dreads. “Hi, don’t panic, but we have had to call an ambulance.” In that moment your instincts take over. That report, that moments earlier had to be finished by 5pm, suddenly means nothing. Grab coat and bag and just run to get to the side of your poorly baby as soon as possible. It is days like this that you realise that you are stronger than you think. These are the times that you realise that you have come a long way from the frightened new parent who couldn’t face leaving the house and cried all day and night. Capable and strong because you have to be. As I drove to nursery, luckily only 15 minutes from work, I had no choice but to be practical. I had to drive carefully despite the overwhelming urge to floor the accelerator pedal. Having an accident or being pulled over for speeding would not have made my situation any easier. I started to calm myself with sensible questions like “should I bring my coat?” “Will I need money?”. These questions were better than allowing awful thoughts to creep in to my mind. Thoughts about what I might find when I got there. The possibilities that were making my heart pound in my chest and prick my eyes with tears. The situation thankfully was not life threatening. Having had a runny nose and conjunctivitis for a couple of days without fever and generally being ok, Little Miss had gone to nursery. As with most little monkeys, virus’ can change quickly and she had a sharp spike in temperature which caused a small fit. I am assured that this is nothing to worry about and it is the bodies way of protecting itself. 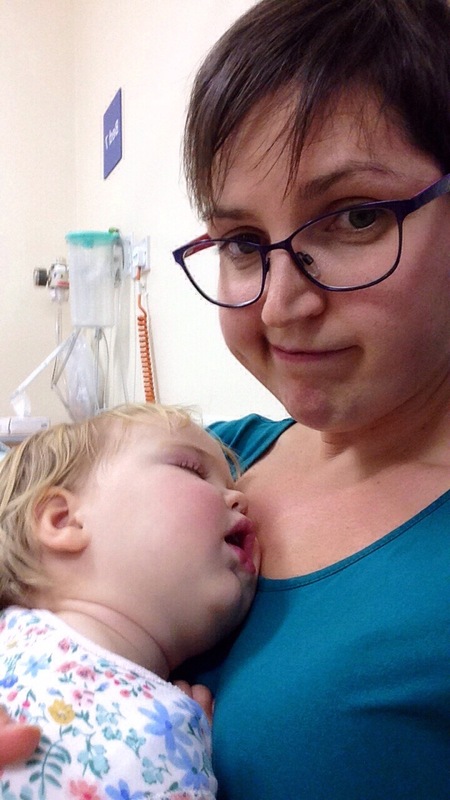 The nursery staff were dealing with the temperature which wasn’t dangerously high and, because she was already stripped off and dosed up with calpol, it was only a mild fit. A huge relief on my arrival. We still had to take a little trip in the ambulance to be checked over at hospital. Despite arriving a little worse for wear, Little Miss quickly resumed her position as chief mischief maker. Once she was fed and had happily had a huge poo, she set about unpacking the nursing supplies from the trolley in our little treatment room. I muttered under my breath, more than once, “can you at least look ill?” After a trip to Paediatrics, she was diagnosed with tonsillitis. Armed with antibiotics and instructions about what to do if another fit should occur, we were sent home a bit tired but ok. In the six and half years that I have been a parent I have been to A & E more than once. Every time has thankfully been for relatively minor injuries. Not counting the time Middle had a suspected broken collar bone. He had the staff very concerned as he whimpered and winced appropriately. No break found, soft tissue damage diagnosed, we set off home. I was horrified when as we got into the car he began waving his arms around in a windmill motion shouting “look at this.” From then on most injuries were given a full 24 hours before a trip to hospital was required. When I look back at where I was after Top was born, I am often amazed. Shortly after he was born we were admitted to the Children’s Ward because he wasn’t gaining weight. It occurs to me now that they may have done that to monitor me and not just him. On our first night on the ward, I remember being unable to settle Top to sleep, he just wouldn’t stop crying. I tried wrapping him up and just curled up on my little fold down bed and wished that he would stop. He kicked off all of his covers, so that when a nurse came to check up on us she found him cold and screaming. She didn’t chastise me or put me down, she just swaddled him, scooped him up and took him away to the nurses station. She gave me what I needed. Some sleep. Sitting in the hospital this week with Little Miss, only a few meters away from the little room I stayed in with Top, I reflected on how much I have changed. 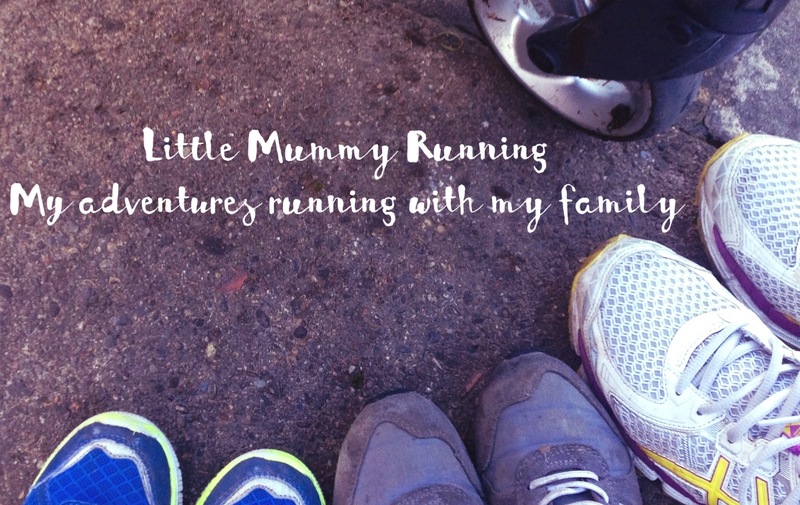 Parenting had initially drained me of my energy, self esteem and confidence. I felt lost, almost defeated. But over time parenting actually rebuilt me. I would not say that I was the same, in fact I would probably say that I was stronger. I credit my recovery to swallowing my pride to accept support when it has been offered. To those people who gave me choices not answers, and overall, every one of my three little monkeys. It is sometimes difficult to differentiate between your feelings for your children. Some days you might not like them very much but, when they need you your response is unconditional. For example, the day that Top broke his wrist he had been driving us crazy all morning. Later, after coming home from hospital, I reflected on how he had blown me away with his ability to cope. We had gone out that day to get him some fresh air because, as his mother, I knew what he needed. When he hurt himself I carefully made decisions on his behalf, reassured him and helped him. I sometimes surprise myself when I question health professionals based on my own instincts as a mother. This comes naturally but we initially feel too unconfident to use it. To those people who tell me that I am amazing when I tackle the crazy incidents that seem to be regularly thrown my way, I have only one response. It has taken a number of mistakes and successes to become confident. I still make mistakes and I am far from perfect. This week marks the anniversary of the death of my friend (Coffee, Cake and Cuddles). There isn’t a day that goes by that I don’t think about her. Sometimes I think I see her running when I am out in the car. I think about the crazy few months with Top Monkey and how hard they were. I find myself now reflecting on how lucky I was to not have had to cope with a whole other level of mental torture as she did. That I did not endure the total despair that she did. Her illness made her think that a life without her was a life better lived for her husband and baby. A lesson in how cruel Post Natal Depression is. As new mother’s we are sold perfection. That anything else is not enough. My brush with the Police last week highlighted how openly judgemental others can be of our choices. This pressure to be perfect can be overwhelming. such pressure made my life painful as a new mother. My friend commented on the blog once that her “boat was not without holes, but I was welcome on board any time.” This sentiment has always stuck with me. The imperfections made her offer so much more appealing. So if I ever give the impression that I have it all together, please know that I don’t. What I do have though is a confidence in my many imperfections. That it has taken a lot of time and many setbacks to get to where I am now. I am confident that when they need me I will do my best to be there and get it right. That I will only get stronger still. I was drawn to this from your IG post – doesn’t every parent fear the worst when hey get THAT call from nursery? I’m so pleased to hear she was alright and your nursery sounds brilliant for handling it so quickly. The rest of your post is really insightful. It’s so true that parental instincts kick in and you can find a strength you didn’t know you had. My two are still very young so who knows what lies ahead for us. I can only trust that I’ll cope when I need to, as you do just have to get on with it don’t you?! I’m so sorry to hear about your friend. I’ve also read a number of blogs highlighting PND and encouraging people to reach out and get help. Such a terrible illness that people still don’t know enough about. Thanks for highlighting it here too. I wish you much strength as I’m sure you miss her dearly. She is thankfully very much on the mend. Thank you for such a lovely comment. I am so sorry for the loss of your friend. Depression really is so cruel. Wishing the little one a speedy recovery! Thank you. I am often surprised at how calm I am. I have always just assumed it was mother’s instinct. My daughter had a febrile convulsion when she was a baby and I witnessed it all and thought she was going to die. By the time a doctor saw us she was back to normal just with a runny nose. Cass Bailey recently posted…Are you thinking of moving abroad…. I thankfully have never had that call when not with the boys. However, I have had to take the two of mine to A&E more times than I can remember! As mothers we are stronger than we know.